This is not the case of Broadcast, Multicast and Unknown Unicast (BUM) traffic. Without BUM suppression, BUM traffic will be flooded to all PE devices, regardless of Hosts’ interest in a given stream. The following figure depicts the topology with Multicast Source attached to PE1 and two Receivers connected to PE2 and PE3. Despite the fact that there is no Multicast Receiver attached to PE4, PE4 will still receive all the traffic originated by Source Host 1 before dropping it locally. While such behavior might be acceptable for low-volume BUM traffic, it leads to very inefficient use of Inter-PE bandwidth as the volume of traffic increases. 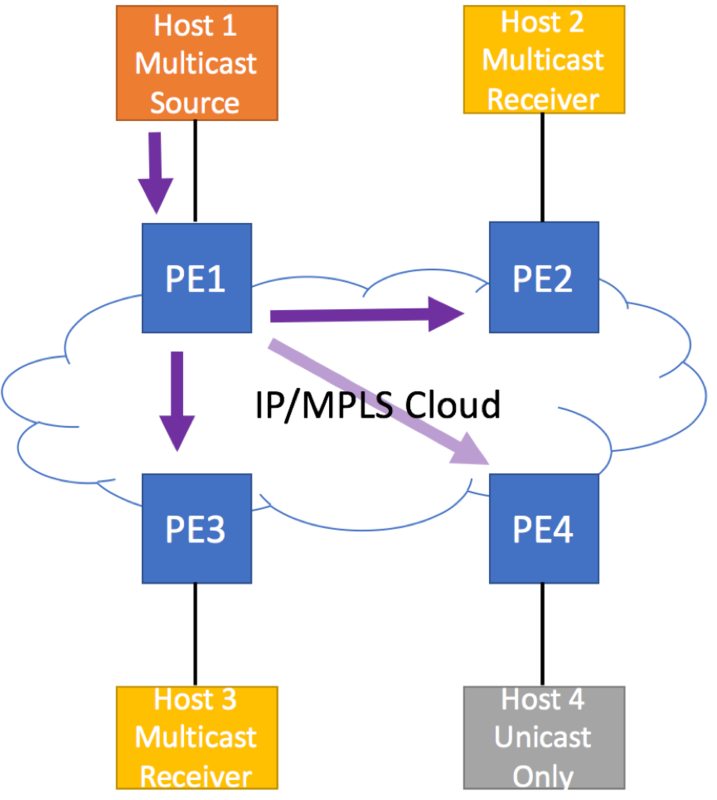 For example, if Multicast is used for live video feed distribution. 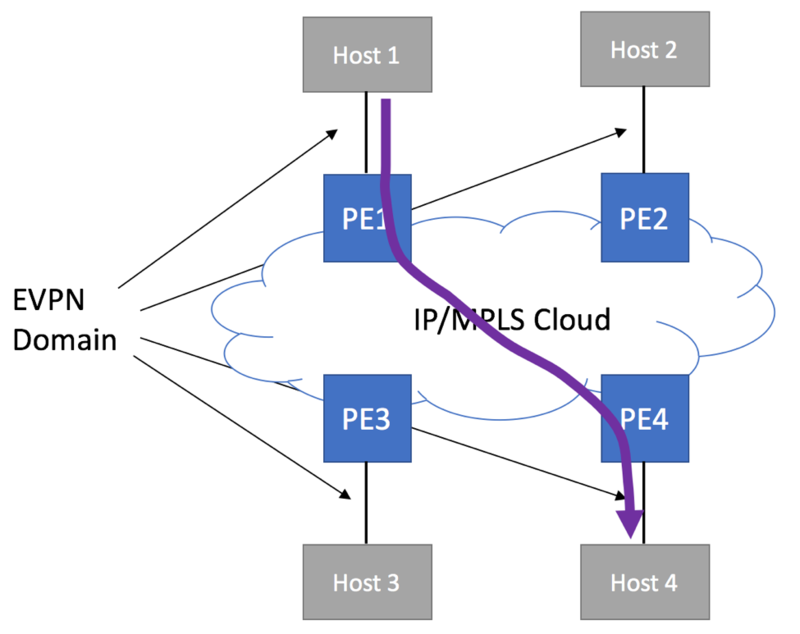 IGMP and MLD Proxy for EVPN (https://tools.ietf.org/html/draft-ietf-bess-evpn-igmp-mld-proxy-00#page-15) proposal intends to address this EVPN limitation, introducing mechanisms for selective multicast forwarding. 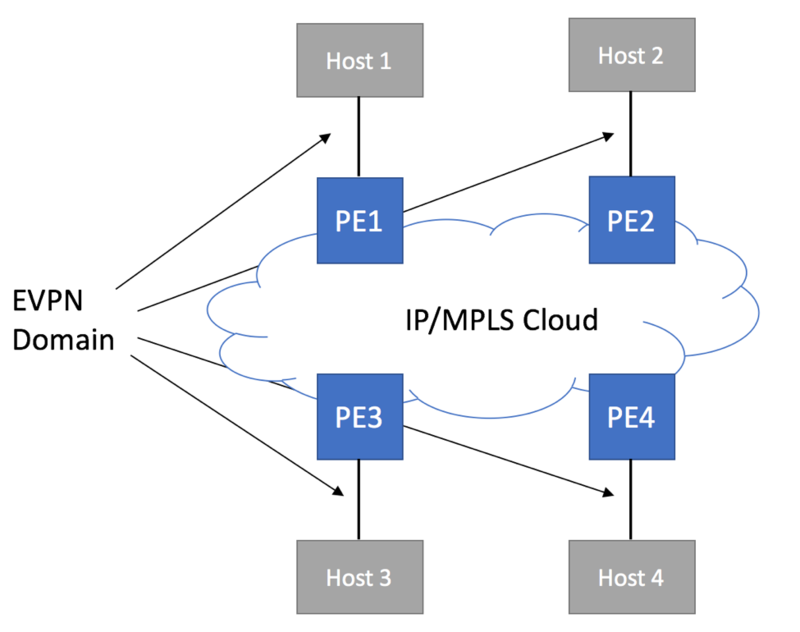 Proposed solution requires new EVPN Route Types (6, 7 and 8) to be supported by EVPN-enabled PE devices. The idea behind IGMP and MLD snooping is for EVPN-speaking router to intercept IGMP/MLD join / leave packets and understand hosts’ desire to receive or not receive multicast traffic for certain groups (*,G) or source-group (S,G) combinations. PE devices that snoops IGMP/MLD packets will pass hosts’ intent via BGP to the rest of PE devices. 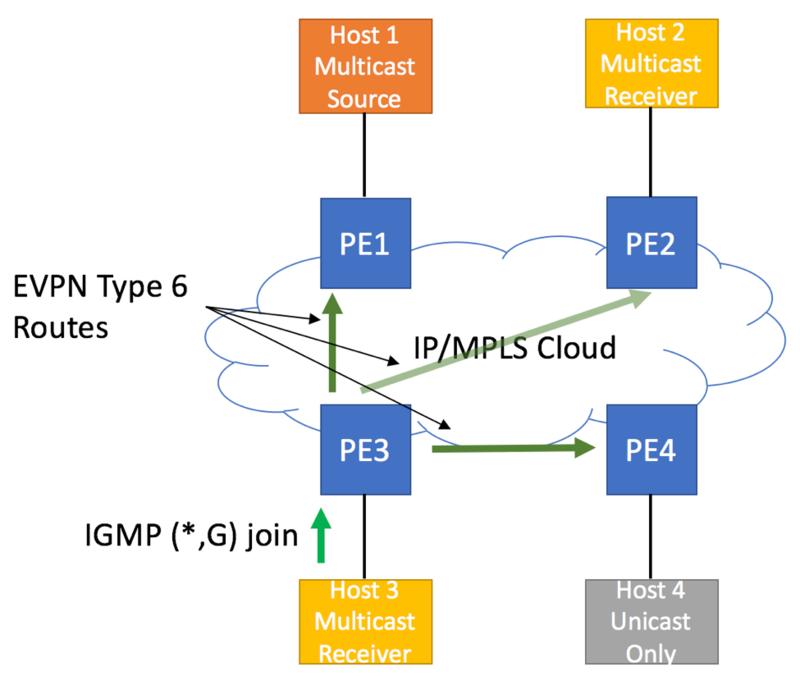 In addition to EVPN Type 6 Route depicted above, ‘IGMP and MLD Proxy for EVPN’ draft also defines two additional Route Types (7 and 8) used in EVPN multi-homing scenario. We will discuss these Route-Types in one of our next articles. Nice article. One doubt I have is – in figure 3 above, where PE 1 is the source of BUM traffic and we have receivers behind PE2 and PE3. You mentioned even PE4 will receive this traffic since it is part of same EVI. What is PE3 does not advertise type 3 route? In that case, will it still receive the BUM traffic?